Grays Athletic are pleased to support Correy Davidson to raise awareness of Mental Health. Correy is organising a charity match on the 9th June in Ireland in aid of Pieta House. 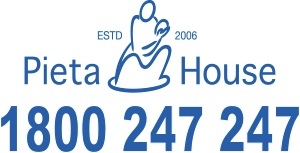 In 2006, Pieta House opened its doors in Lucan, County Dublin and since that day have seen and helped over 36,000 people in suicidal distress or engaging in self-harm, and established twelve subsequent centres across Ireland. As part of the charity match a number of our players have been asked if they would like to take part. Anyone wishing to know more information can contact Correy direct via Twitter @Correy_10. Correy has set up a go fund me page:https://www.justgiving.com/fundraising/correy-davidson?utm_campaign=pfp-tweet&utm_content=Correy-Davidson&utm_medium=fundraisingpage&utm_source=Twitter&utm_term=jmjpy6Je2 if anyone would like to make a donation to this cause. We are proud to support Correy and the club will be holding a bucket collection towards the end of the season.